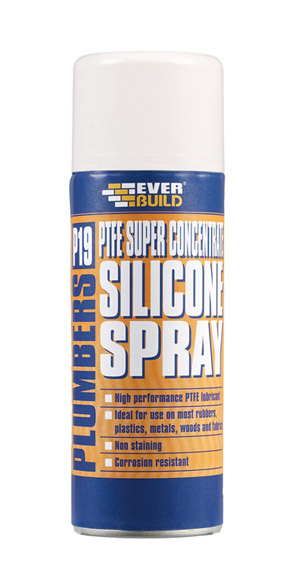 P19 PTFE Super Concentrate Silicone Spray is a multi-purpose, dry silicone lubricant, ideal for use in the plumbing industry. It is ideal for use in easing the installation of all types of plastic pipe joints and threads, inserting rubber gaskets and O rings and has 100’s of uses around the home, garage, workshop and industry. The advanced silicone formula eases friction between any two surfaces, and also stops squeaks.